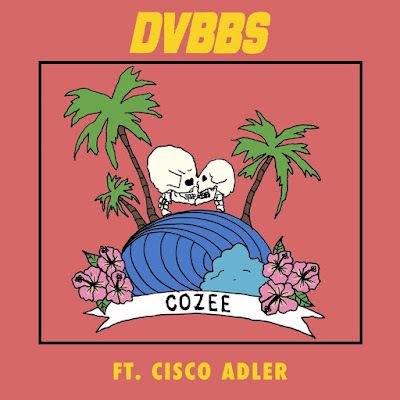 Home / brand new / Cisco Adler / DVBBS / música / Cisco Adler and DVBBS Release New Single "Cozee"
Cisco Adler and DVBBS Release New Single "Cozee"
Time to dance! American musician and Grammy-nominated record producer Cisco Adler has teamed up with Canadian electronic duo DVBBS to deliver a super laid back track called Cozee. Such a smooth track with a west coast vibe that marks a departure from DVBBS' usual upbeat electronic sound. pcoming project is a funky pop hit that has come just in time to grab bae for some cozy beach vibes. Los Angeles' Cisco Adler pours out his heart sharing that this group of bad boys aren't so bad at all. Legendary Scott Storch also plays a lending hand on the keys. Watch its official music video below!